Our friends, Ron and Pat, invited Dean and me to accompany them on a trip to Alaska and Canada in their private jet. How could we possibly pass up such an opportunity? The Eclipse jet attracted a lot of attention. 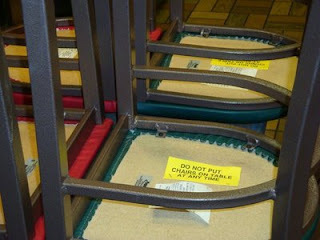 Most of the staff at the airports had never seen one. The day after we returned from California, Ron called to say the weather looked good and that if we could find rooms in Sitka, he favored flying up a day earlier than we had planned. We just had time to do the laundry and repack. 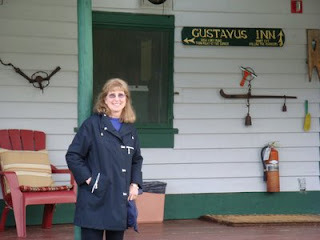 The next stop was Gustavus, where we spent one night at a lovely old farmhouse Inn. The manager picked us up at the airport and prepared a mid-afternoon lunch for us of carrot-ginger soup, spinach salad, rosemary focaccia bread, cheese, butter, and oatmeal cookies. (Note to myself: the soup could be made with pumpkin instead of carrots for a lower-carb version.) There was a chalkboard in the dining room that listed the featured items that were from the garden, fresh caught, or wild. The wild harvest included beach asparagus, kelp pickles, wild strawberries, and spruce tip syrup. Me in front of the Gustavus Inn. 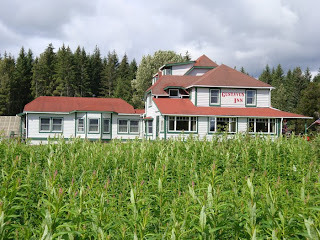 The Inn viewed over a field of fireweed. The Inn provided family style meals for guests and had a sign out by the road with a movable arrow to let the local folks know what was on the menu in case they wanted to join us. The sign listed salmon, crab, halibut, and sable fish. The arrow pointed to salmon. I had poached eggs and bacon rather than pancakes or cereal for breakfast, but couldn’t resist a sample of the spruce-tip syrup and a taste of the stewed rhubarb, which grew in abundance in the huge garden filled with flowers and vegetables visible from the windows. After breakfast we were off to meet Captain Mike Nigro for a chartered tour of Glacier Bay on the Kahsteen. Next: A chartered cruise, otters, whales, calving glaciers, and a natural cook. 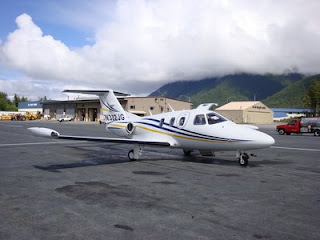 Alaska, Alaskan food, Exlipse jet, Gustavus Inn, Private jet trip, Sitka. Bookmark.